I'm trained and experienced in the use of a variety of Traumatic Incident Reduction methods to help with symptoms of post traumatic stress, including flashbacks and panic attacks. These methods include TIR (a form of rewind technique), and Brainspotting, a highly effective method of processing trauma that has recently developed from EMDR. I'm also a fully trained and qualified Hypnotherapist. I believe that some problematic emotional states (eg. PTSD flashbacks and some aspects of depression and addictive behaviours) can be viewed as naturally occurring trance-states. Where this is the case, carefully planned hypnotherapy can often act as a highly effective method for counteracting them. 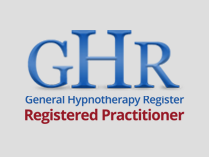 Hypnotherapy can also be a wonderful tool in helping with relaxation and stress reduction for people who feel comfortable enough to try it. I first qualified as a counsellor in 1989 while working in a voluntary sector mental health project in Feltham, Middlesex. Since then I have worked within several voluntary sector projects including The Waterloo Community Counselling Project, London Friend, and Yorkshire MESMAC. I worked in the NHS as a counsellor within a GP practice in Enfield. 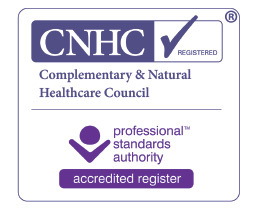 I have also worked in private practice for around 30 years, initially in London, and then, for the past 18 years, in Yorkshire. Please get in touch today, you can either call/text me on: 07955 936701 or click here to send me an email. I offer a free and absolutely no-obligation, telephone consultation for prospective new clients. By the end of this consultation I should be able to give you a good idea of how we could work together. Other training includes Gestalt Psychotherapy (Metanoia Institute) 1988-1991 and Integrative Psychotherapy (Metanoia Institute) 1992-1993, and Brainspotting training with BSPUK, 2018. I am also trained in, and have many years of experience of, working with adult survivors of childhood sexual abuse and Traumatic incident reduction. I have worked for many years within the LGBT community with the Friend network in Bradford and London and with Yorkshire MESMAC where I developed the counselling service, and understand the challenges experienced by LGBT people first-hand. Would you like to explore this further? Please don't hesitate. You can contact me now by email, phone or text and we can arrange an initial phone call, or consultation to look at how I may be able to help you. I offer a free initial telephone consultation. After that, if you would like to come for counselling with me, my standard hourly counselling fee is £50 per session daytimes and £60 evenings. I am happy to discuss reducing my daytime rate for people on low income requiring longer term therapy. I'm also happy to discuss ways of spreading payment for people requiring shorter term counselling or hypnotherapy. I have many years experience of telephone counselling and, where appropriate, I can offer telephone sessions in conjunction with, or instead of face-to-face sessions if this is more convenient for you. My town centre office is upstairs. I have worked as a supervisor for many years, providing supervision for individuals and groups across the experience-spectrum from trainee counsellors to fully qualified and accredited counsellors and therapists with many years of experience.